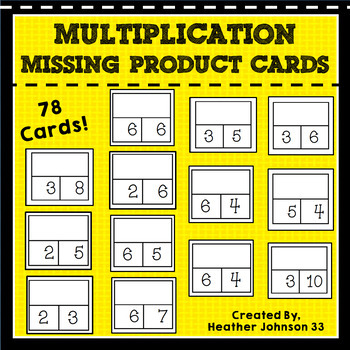 78 cards with two factors and a missing product. Copy on card stock for durability and laminate. Wipe off dry erase, use as flashcards, put on a ring, part-part-whole practice. 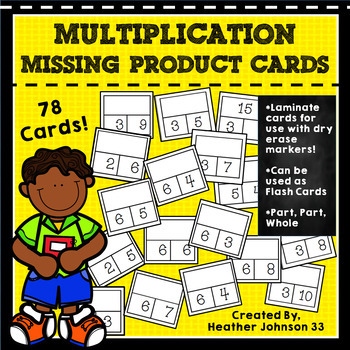 I laminated and cut several sets to use at a variety of different math centers. I start with the more simple facts and then add more to the pile as we cover them.